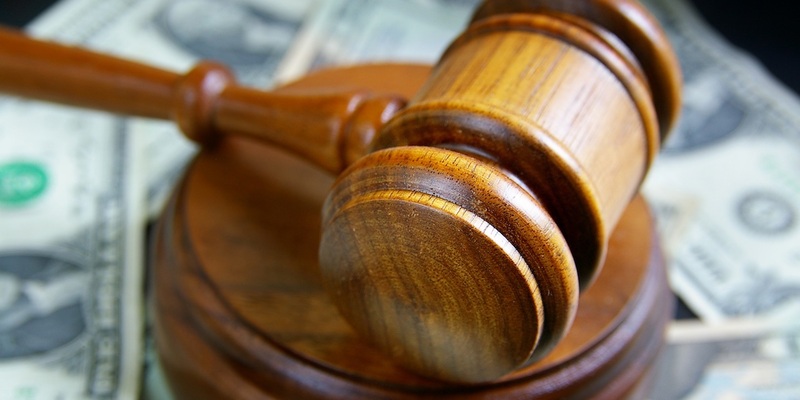 NEW ORLEANS — A Gretna man who lost his property to a sheriff's sale in October now has lost his case against financers who held the mortgage he paid for 16 years after he failed to respond to their motions, according to a recent court order. U.S. District Court for Louisiana's Eastern District effectively dismissed the civil case filed in October by Michael George Shelley over the property on Rose Drive in Gretna after granting a judgment on pleadings, according to the court's order handed down Feb. 27. "The Court agrees that (Shelley)'s claim to enjoin the foreclosure sale fails because (Shelley) has failed to plead circumstances that would qualify for an exception under the Anti–Injunction Act," U.S. District Court Judge Jay C. Zainey said in his nine-page order. The Anti–Injunction Act (AIA) "governs whether a district court can properly enjoin pending state court litigation" and Shelley "failed to claim any circumstances that entitle him to an exception under the AIA," the order said. He also didn't respond to motions filed in February by defendants New Penn Financial, which does business as Shellpoint Mortgage and Ditech Financial. The case stems from a $30,400 mortgage Shelley took out from Federal Savings Bank in March 1999, secured with property on Rose Drive in Gretna, according to information in the order. ABN AMRO Mortgage Group, a successor to Standard Federal, endorsed the note and assigned it to Green Tea Servicing, which in August 2015 merged with Ditech Financial, according to the order. In June, Ditech assigned the mortgage to Shellpoint, which now is the loan's servicer, according to the order. Meanwhile, in November 2015, Shelley allegedly defaulted on his monthly installment payment "and all subsequent installments," which resulted in the then 16-year-old loan being "accelerated" and the remaining unpaid principal balance plus interest "and allowable fees" being due, according to the order. The following June, Ditech filed suit against Shelley in Jefferson Parish's 24th Judicial District Court over the amount due, according to the order. "Although it remains unclear, this action appears to have resulted in the sheriff sale of the property on October 25, 2017," the order said. Shelley filed his civil action on Oct. 5 against Ditech and Shellpont in Jefferson Parish's Second Justice Court and the case later was later removed to the U.S. District Court, according to the order. Shelley sought $2,000 in penalties under the Federal Debt Collection Practices Act (FDCPA) and a letter from defendants to three credit reporting agencies to remove negative reports arising from the unpaid note, as allowed by the Fair Credit Reporting Act (FCRA), according to the order. Shelley also requested "that the sale ordered in the foreclosure action be enjoined pending resolution of this lawsuit," the order said. Defendants argued, among other things, that they are not debt collectors under the FDCPA, that there is no private right of action under the FCRA, and that Shelley's request for injunctive relief is barred by the AIA and that his case "does not fall within the Anti-Injunction Act’s exceptions," the order said. Shelley didn't meet requirements for an exception under the AIA because he didn't plead circumstances that would qualify him for such an exception, he didn't quality for an AIA-allowed injunction and his litigation had not previously been decided by a federal court, according to the order. "Thus, Plaintiff does not qualify for an injunction under the AIA's third exception," Judge Zainey said in his order. "(Shelley)'s final claim fails and defendants are entitled to judgment on the pleadings in their favor."